GreenPartStore is proud to be your source for John Deere parts for their complete line of vehicles! 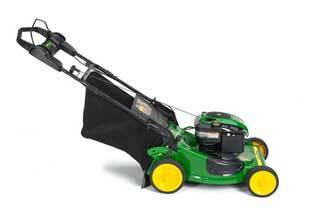 We stock parts and accessories for every model of John Deere Walk-Behind Mower, which you can find organized by the model on this page. We have everything from mower scrapers, to fuel tank caps, to mufflers, air filter elements, and more. Start by selecting your model of John Deere Walk-Behind Mower below, or enter the part number into the Part Search Box above. If you can't find what you're looking for, please contact us and we can get it for you.